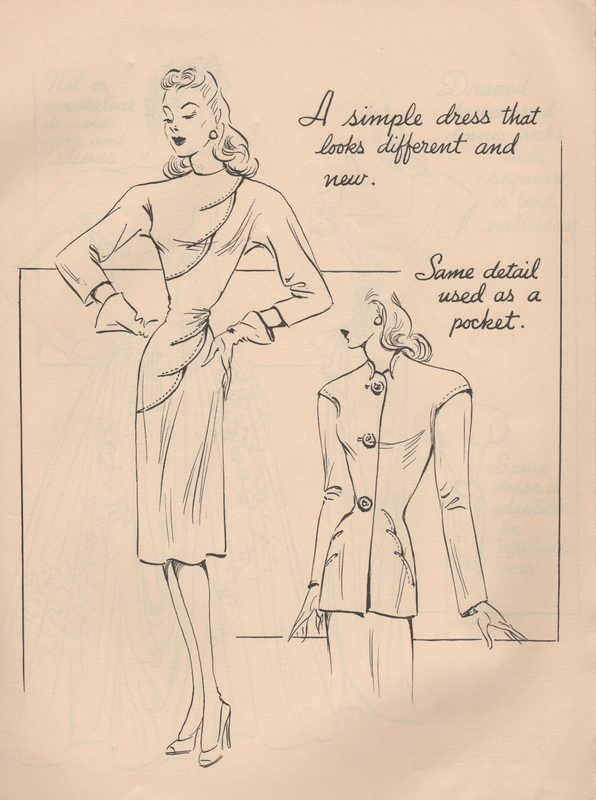 I have to admit, the top-stitched scalloped detailing in this sketch is very inspiring. I love it! This is great! Do you know when it's from? My guess is late 40s; is that correct? Hi, Emileigh! You are close - it is from Spring 1946. :) I should put that in the title - I'll go do that asap.